Tom R. Chambers' "Yin Yang Future" on display as a part of "Imagining the Future We Want" exhibition at the VALISE Gallery, Vashon, Washington, the month of September, 2011. Opening reception is September 2, 6-9pm. 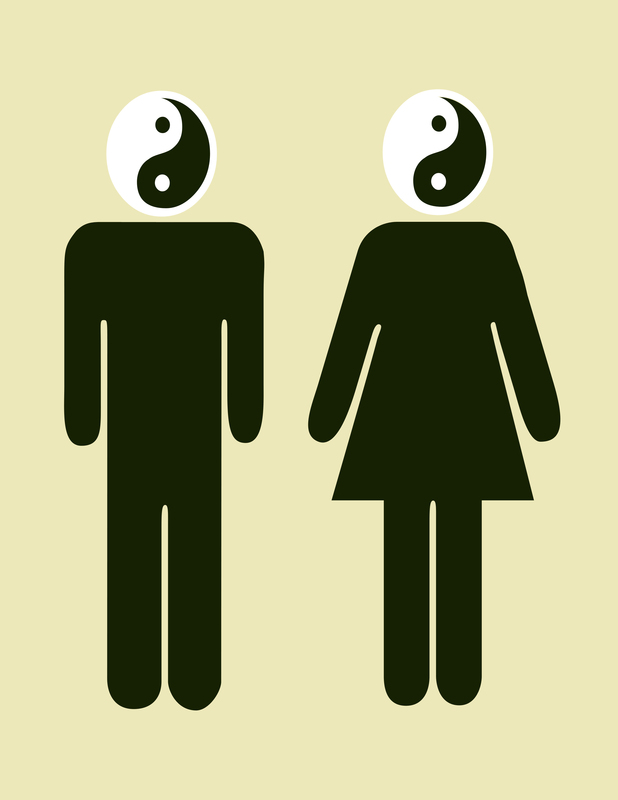 It is in keeping with the "Digital Revolution", vis-a-vis, the iconic male and female font symbols that have been altered to move towards the need for humanity's change in thought ... "Yin Yang" ... the idea of balance. Contributors to the exhibition were invited to create an image and/or text that would focus on a reconstructive vision of the future. The original invitation stated, "as the old system of dominant culture is collapsing, we need to be imagining the world we want to live in, and we want everyone to spend some time developing that vision." When asked for clarification about what system is collapsing, Beverly Naidus, the curator of the project, responded: "Neo-liberalism as a system has not worked for anyone except for those who are obscenely rich, and it is collapsing, as is the delicate balance of the ecosystems that determine the abundance or lack thereof of clean water, air and food. The systems that we have been using for education, creating energy, health care, solving conflict, offering equity, etc. are all in disrepair and need to be reshaped in profound ways if our species is going to survive and thrive (in balance with other species). Many options that have been imagined over the past century or so, need to be put back on the table, the wall and the web so that we can engage the imaginations of the public and develop more momentum." Featured in this exhibition are twelve "Green Maps" that represent different international communities visions for their futures. According to Naidus, "In these times of global economic and ecological distress, we will need the imaginations of all who are willing and eager to be focused on the world we want to be living in."